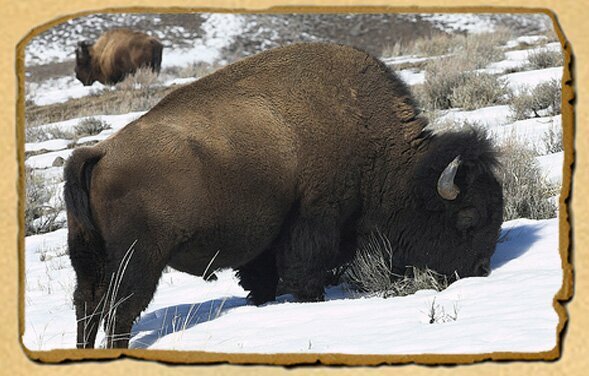 Hunting the magnificent Bison (Buffalo) is unequaled in excitement and adventure. Bison (Buffalo) hunting is a demanding and extreme hunt. It is a physical hunt (some have called it the toughest hunt they have done) but the rewards are worth it. At Shadow Creek Outfitters we offer one-on-one guided Bison (Buffalo) Hunts with your Outfitter, Henry Giles. One of the few places you can hunt wild, free-ranging Bison (Buffalo) is in Alberta, Canada. Most of these iconic creatures live within the unfenced boundaries of Wood Buffalo National Park, right beside WMU 540 where Shadow Creek Outfitters operate. They require no special tags and may be hunted. This is an excellent fair chase hunt: hunter versus prey. We hunt in March when temperatures range from -30 F to 40 F. With the sun rising at about 7:30 am (0730) and setting at about 6:00 pm (1800), you will log a lot of hours on a snowmobile (provided by Shadow Creek Outfitters). 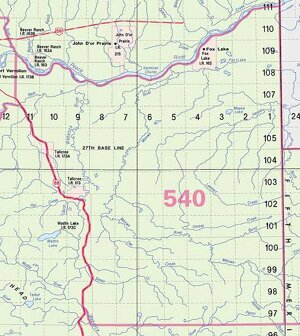 Distances of 10 to as many as 60 miles may be travelled per day on the snowmobiles. Bison usually appear when you least expect them, so being alert is a must. A Bison (Buffalo) has a shaggy, long, dark brown winter coat, and a lighter brown summer coat which is also lighter weight. Bison can reach up to 2 meters (6.6 ft) tall at their powerful shoulders, 3 meters (10 ft) long, and weigh 400 kilograms (882 lb) to 1,000 kilograms (2,205 lb). As is typical in other ungulates, the male bison is slightly larger. The biggest specimens on record have weighed as much as 1,133 kilograms (2,500 lb). The heads and forequarters are massive, and both sexes have short, curved horns, which they use in fighting for status within the herd and for defense. Bison have limited vision and this makes them more defensive and willing to charge to protect themselves and their herds.